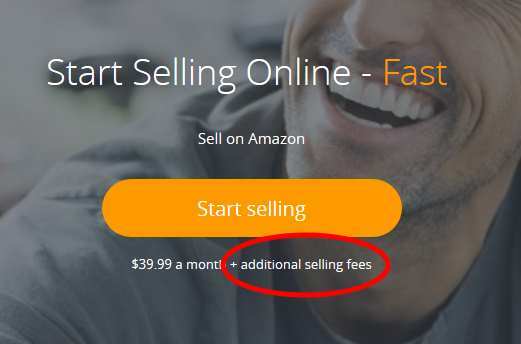 Amazon and Ebay dominate the online consumer goods and retail ecommerce landscape, but their selling fees generally run upwards of 15% to 25% of revenue, or even higher. And that is not even including other basic service fees such as monthly subscription fees, Paypal fees, Fulfillment by Amazon (FBA) fees, shipping fees, etc. On the other hand, when a Google Shopping Product Listing Ads (PLA) marketing campaign is professionally executed, it can generate product sales at a fraction of the selling fees. This is why we typically insist that our ecommerce clients at least try out Google Shopping’s Product Listing Ads as a part of their ecommerce marketing strategy, if they have their own ecommerce website. Google Shopping’s Product Listing Ads are one of the many advertising methods on the Google Adwords marketing platform. We invite our clients to try out each of the various features offered by Google Adwords. But our firm particularly insists that our consumer goods clients, retail clients, and other products-based clients focus on Google Shopping’s Product Listing Ads. Many Google services are easy to use: Gmail, Youtube, etc. But the Product Listing Ads service is arguably not an easy-to-use feature. Clients with Google Adwords experience, Google Shopping experience, or Youtube advertising experience will understand how time consuming and expensive it is to advertise through Google’s various marketing platforms. And many times, the conversion rates are low and not cost effective. Even worse, many Google Adwords campaigns see negative returns on investment (ROI). This can be a common experience on Youtube ad campaigns and Google Adwords keywords campaigns due to low clickthrough rates (CTR) and low sales conversion rates. Montessori Interactive’s Google Shopping services (including our Google Merchant services, Product Listing Ads services, etc.) alleviate many of your most time consuming tasks and helps increase your ROI. The chart below shows an example of how we help our clients increase ROI and actually generate profits using Google Adwords. For this particular auto parts ecommerce website, we were able to generate over $5000 in revenue at a barebones cost, resulting in a converted value / cost ratio of 61.27. In other words, Montessori Interactive’s Google Shopping services was able to lower Google Adwords selling fees to under 2% (compared to the 15% to 25% selling fees on Ebay and Amazon). Astute readers will note that we were able to generate incredible sales conversion value despite the relatively low sales conversion rate (less than 1%). In fact, we are so confident in our Google Shopping services that we work on commission. That’s right! You do not pay unless you get paid. To get more information about our Google Shopping services, feel free to contact Montessori Interactive. This entry was posted in Online Marketing and tagged Adwords, CPC, ecommerce, Google Ads, online advertising, online marketing, PPC, product listing ads (PLA), search engine marketing (SEM). Bookmark the permalink.